We'll deliver it directly to your inbox! 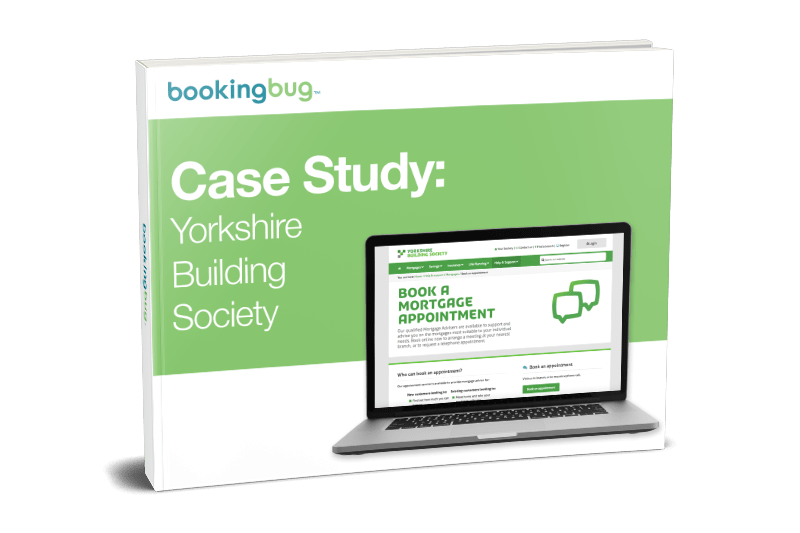 Yorkshire Building Society (YBS) has used BookingBug to become the first mortgage provider enabling customers to book in-branch and telephone appointments at any of its 200+ locations or UK-based contact centers. Read the case study to learn how placing emphasis on customer experience differentiates some financial institutions from the rest. Cras tristique diam diam, sed maximus dolor accumsan in. Ut euismod congue justo a auctor. Sed sed vestibulum enim. Vivamus interdum suscipit elementum. Donec congue tristique turpis, ut tristique diam laoreet vel. Fusce vitae lorem id risus tempor convallis. ©2019 BookingBug. All rights reserved.